Florence Coard Parsons, daughter of the late Bertie Seymour Coard and Eugene Snead was born on April 27, 1926 in Accomac, Virginia. “I will both lay me down in peace, and sleep: for thou, LORD, only makest me dwell in safety. Psalms 4:8.” As Florence slept in her home, God softly called her name, and she departed this life early in the morning on January 26, 2019. 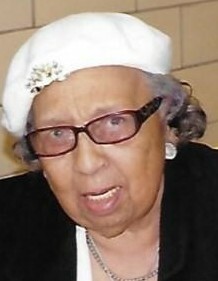 Tootsie, as she is fondly called by family and close friends, is a 1942 graduate of Mary N. Smith High School. She earned her Bachelor of Arts Degree at Delaware State University and her Master of Arts Degree at Norfolk State University. After obtaining her bachelor’s degree, she returned home to begin her 38 years as an educator. Nothing surpassed the joy she received when her former students greeted her with a smile and a thank you for the small contribution she made to their success. Helping others became her lifelong mission. It was during her years as an educator that she met and married John Parsons. Together, Babe (John’s name of endearment for her) and her husband of 48 years, raised, educated and loved as their own a young man named David Rivers. Their home became the gathering place for many young athletes. Soon she and John came to love another young man as their son. Ma P. would tell the world that Marshall Cropper was her son, not adopted son nor godson, but her son, period. The love and joy they shared was evident each time Marshall entered her presence and her face beamed with pride, joy, and love. 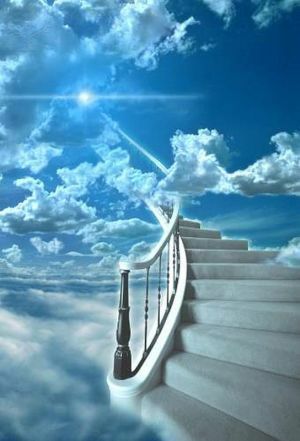 Both John and David predeceased her as a result of two separate car accidents, years and miles apart. Florence’s initial entrance into the religious realm consisted of her being blessed as an infant at Macedonia A.M.E. Church. Later, as a teenager, she confessed her need to be forgiven of her sins and requested forgiveness, protection, and guidance by the Almighty God. Her dedicated years of faithful service demonstrated her commitment to exemplify faith, hope, and charity in her daily walk with God. As a member of Macedonia for almost 80 years, she served in many capacities, including Assistant Church Clerk, Steward, Stewardess, Missionary President, Area Chair of the Esther L. Beckett Missionary Society, Virginia Conference Branch Missionary Society Member-at-Large. She was awarded the Virginia Conference Branch WMS Lifetime Missionary Warrior Award. She also joyfully served as a traveling companion to Rev. Mary Washington as Rev. Washington communed the sick and shut in members of Macedonia. As a youth, she observed her mother and other Christian neighbors display good habits. Her mother welcomed everyone to their home for conversation and/or meals; their home often was referred to as “Do Drop Inn.” These positive attitudes helped shape the woman she became. After God and her family, her missionary work became her greatest passion. Mrs. Parsons sought to actively involve all the members of the missionary societies by encouraging them to attend district conferences, and area and local meetings. She even provided them with transportation, when needed. Mrs. Parsons dedicated her time, talents, and finances to feed the hungry, aid the needy, and visit the sick. She expanded the Macedonia missionary food bank to accommodate the needs of numerous families. To honor Mrs. Parsons, the Macedonia A.M.E. Church Missionary became the Florence C. Parsons Missionary Society. After Mrs. Parsons became confined to her home, the missionary ladies further honored Mrs. Parsons by visiting her as a group in her home on several occasions, including to celebrate her birthday and to conduct a meeting. Mrs. Parsons’s work of missions expanded beyond the church. She served as the past chairman of the Accomack County Parks and Recreation Commission, past secretary of the Eastern Shore Community Service Board, past president of the Eastern Shore Retired Teachers Association, volunteer at Shore Memorial Hospital, founder of the Macedonia Parsons Youth Incentive Scholarship Fund, and founder (and major contributor) of the John and Florence Parsons Scholarship Fund. Tootsie had another great passion; she loved to travel. She and her cousin Marion (and sometimes her friends) traveled around the country and abroad. Some of her most memorable trips were to Las Vegas, Nevada, Arizona, Texas, New York, Hawaii, Canada, Paris, and London. After Tootsie became ill, Marion mostly traveled alone, including her monthly drive from New Jersey to visit with and handle the business of her dearest cousin and best friend. In addition to her parents, husband, and son, Florence was predeceased by her sisters Helen Coard Jones and Charlotte Coard Speller. Those left to remember and cherish Florence’s love and hopefully carry on her legacy include her son Marshall Cropper, Wattsville, VA; grandchildren, Erica Rivers and David Rivers, Jr., Dallas, TX, Keesha Rivers, New York, NY, Vashti Cropper and Vashnile Cropper, Washington, D. C.; 6 great grandchildren; daughter-in-law, Joyce Rivers, Dallas, TX; 2 goddaughters, Marineeta Smallwood, Philadelphia, PA and Tina Carr, Atlanta, GA; sister/cousin Marion Ragland, Cinnaminson, NJ; 3 special cousins Ida Hatton and Regina Finney, Parksley, VA, Sandra Lee, Philadelphia, PA; 2 especially dear friends Franklin and Isabelle Carr, Accomac, VA; the Beauty Shop Bunch – Alma Brim, Virginia Pruitt, Diane Randall, and Bertha Wilson; and a host of nieces, nephews, and other relatives and friends. In Lieu of flowers the family has requested that memorial donations be made to the John and Florence Parsons Scholarship Fund at P.O. Box 131 Parksley, Va. 23421.